Intake Manifold runner length - Miata Turbo Forum - Boost cars, acquire cats. 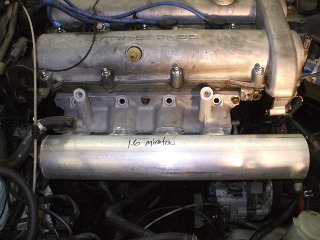 Anyone have thoughts on how long the runners should be on my manifold in process? I'll be welding the runners onto my cut flange sometime this week... but before the plenum baseplate is made and welded on... I'd like to think about the runners some. I currently have about 1-1.5inch of flange height... and runners cut into 6inch lengths... easy to cut down once welded on. 1.6L with gt28rs... figuring my target is about 250 to the wheels and nice powerband for roadcourse. On a NA motor, the runner length is determined by the valvetrain and the rev range that you want to take the motor to. On the FI motors I have no real idea, but could be the same basis. Then I'll add... all stock 1.6L. I can have flexibility if I want... can always go back and cut the runners and extend them... and vice/versa... but ideally that isn't necessary. I would talk to Corky about this if I were you. He could probably give you all of the details and everything that you need to know to get the job done right the first time. If you can, can you write back with what he says if you do talk to him. Just curious to find out the FI side of the equation. I'll give it a shot. I have no previous chit/chat with him and sorta hate to bug him as I've never been a customer, on top of that it'll be interesting finding a starting point with someone who I know has vast amounts more knowledge than I.
google search for hemholtz resonance calculations. you can calculate the ideal runner length at various rpms and then take an average of the values inside your powerband range. If you can't find anything I'll see if I can hunt it down in one of my powertrain books. Its funny how acoustics theory can relate to car performance. long tube equals more laminar flow and higher center stream velocity but lower overal mass flow due to the boundary layers building up. better mixing at low mass flows but choked up top. short tube equals the opposite... turbulent but less choked and lower flow centerline velocities. but i'm positive it's way more complicated than that. incidentally my two focuses (foci?) 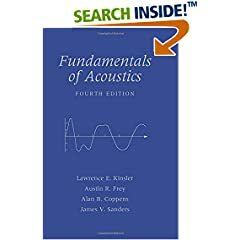 for my ME degree were acoustics and automotive stuff. I kept some textbooks at home for .... I guess the miata turbo forum? Yah, i know the benefits/trade offs of shorter vs longer. I'm just wondering if there is a happy medium to aim for. Didn't someone make a variable length runner manifold? I mean one that actually had sliding runners you could fool with. And yeah, I bet Corky would be happy to spend 10 mins answering your question. I generally opt for longer runners and mount the injectors as high as possible, but it's more personal preference than engineering knowledge. My abilities with fluid dynamics is pretty much crap, so although I know what you are talking about in the above I can't actually give you a logical response. I know that a good friend of mine (John) is a brilliant **** and he did as I suggested for Splitime calculating the hemholtz resonance frequencies with various runner lengths and then chose the median value for our intake on the FSAE car. It worked really well, and coupled with the high mount injectors the intake charge was actually cool enough to produce condensation on the outsides of the runners on the dyno. For others searching the forum and finding this thread. Here is a calculator I've found for calculating the optimum runner size/peak torque rpm. This is a better calculator. Gives both Area and Length of the runner. I remember reading an SAE paper on intake tuning effects a long time ago. "Tuning effects" here refers to the collective influence of both mass flow events and sonic effects on cylinder filling. If you're looking for a wide powerband and not a "hit" in any particular rev range, the best runner length is as short as you can make it. This applies to both natural and forced aspiration. The short runner length will ensure zero tuning effects in any rev range (at least in the range that the engine is physically capable of) and therefore a wide powerband. For a FI engine, I would say, intuitively, that tuning effects have a minor influence when the manifold is pressurized. 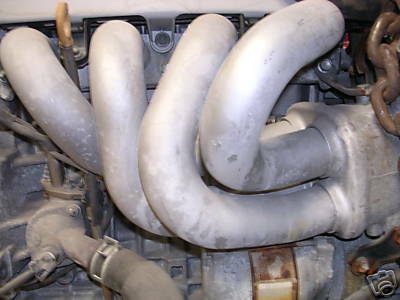 An FI engine is almost always exhaust-flow challenged at rated speed (i.e. peak power), so no matter how much ram effect is at the intake, you just cant get enough charge in there due to tuning effects alone. The goal in intake manifold tuning for an FI engine, therefore, is to get the most "area under the curve". The other factor is the possibility of the high-rpm compressor wheel destroying the reflected wave completely. All of these would indicate a runner length chosen for the rpm range below boost threshold. The goal being, getting the most cylinder filling to maximize mass flow through the turbo in the off-boost area. This would obviously result in improved spool. That would mean a very long runner length, but if you made a manifold like below, its possible to package in the available space. 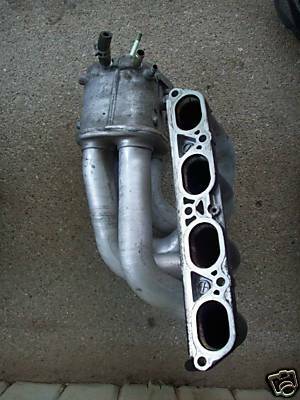 For reference see the STi/WRX intake manifold, and compare the plenum size and runner length between turbo and non-turbo models. The turbos have a longer runner length and tiny plenum size, almost no volume at all, in fact. The reason for a small plenum is to keep the throttled volume to the minimum for quick throttle response, specifically in the off-boost operating condition, and I dont just mean below the boost threshold, but also if you're well above your boost threshold and, say, want to go from 20 in. Hg. vacuum to 10 psi boost as quickly as possible. In other words, to minimize lag. Hit the plot button and the graph will show two plotted curves; one for intake length, the other for exhaust length. Pick the rpm you want to make the maximum torque at and simply read the length (in meters) of the optimum component length. For example, if you want to make maximum torque at 4,000 rpms you want an intake tract length of 0.6 meters, or about 23.6 inches. For a boosted motor it's even more fun because the speed of sound (c) is part of the calculation and that speed is a function of pressure and temperature. So you've got to tweek the formulas a bit. If you go to the bottom of the page and hit the "Return to fluid mechanics text" you'll find where the speed of sound fits into the equation. Do a bit of searching on the internet and you'll find a formula that can help you determine the speed of sound at the boost pressure you are planning on making maximum torque at. Stick the new value for "c" into the formula and you'll have your answer. 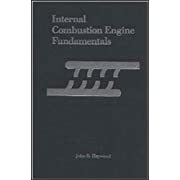 Don't forget that the intake length will extend from the intake valve to the atmosphere in a normally aspirated motor, and from the intake valve to the turbocharger in a boosted motor. But all that is theory and great if you work for Ferrari's formula I team. For the rest of us, and recognizing that Helmholtz tuning is crazy to model in a turbocharged motor, what fits comfortably between all of the other parts under the hood is probably just fine. Let the turbo do the heavy lifting and the rest will take care of itself. That can't be a Subaru IM, can it? Looks like a late model Corolla IM to me. But your post is sound. I'm guessing (and I should warn everyone that I have no engineering education or experience) that another reason Subaru uses longer runners is to improve spool, since the torque you get from longer runners down low helps pull the engine through the low revs and into boost.